I cannot believe that we are half way through the year already, time is flying by! I want to share with you some of the products that I have been loving this month. 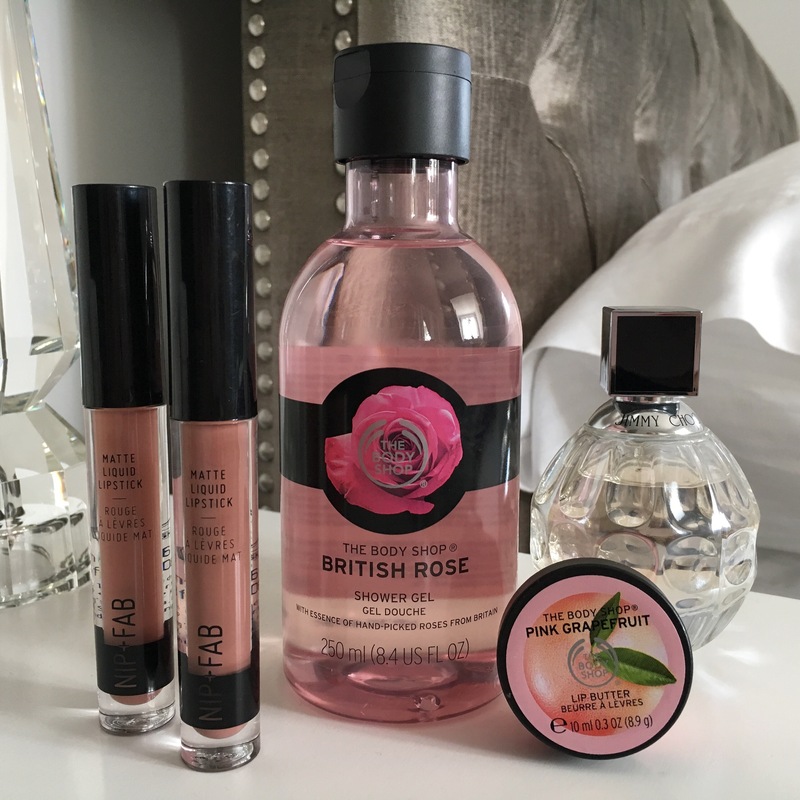 The Body Shop has always been a favourite of mine so it is no surprise that they are in a favourites list. Their shower gels are amazing and smell incredible. They last for such a long time which is a bonus and a little goes a long way. Also, if you haven’t tried The Body Shop lip butters already then you need to try them, they are so creamy and taste and smell sooo good! (I know you’re not meant to eat them). I always try to change up my perfumes throughout the year. At the moment I am wearing Jimmy Choo, it is such a light fragrance and works well for day or night. If you follow me on Instagram then you would have seen me posting about these Nip + Fab liquid lipsticks a lot! 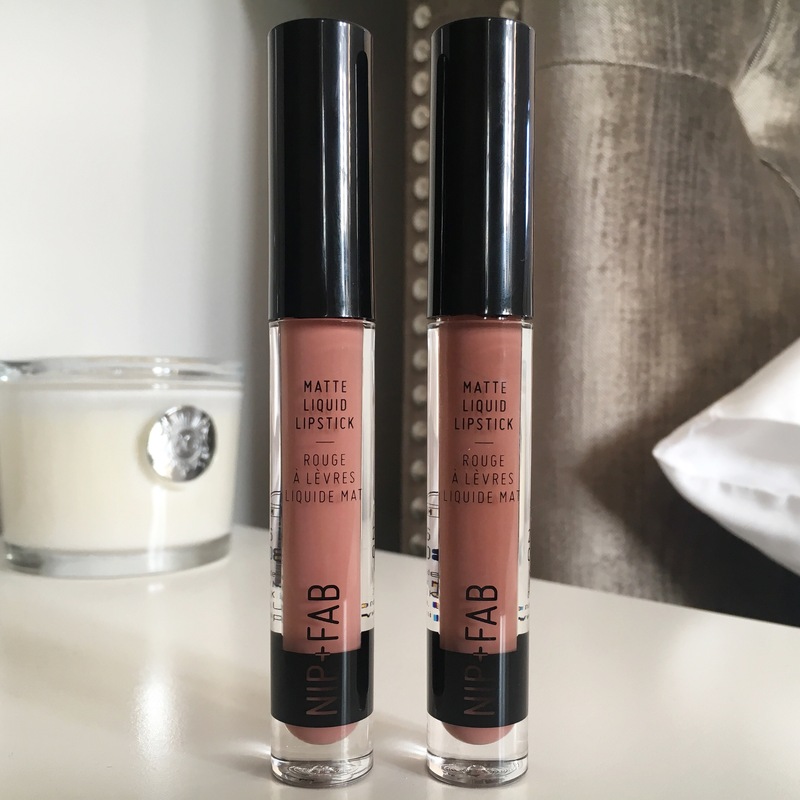 When Nip + Fab came into Superdrug stores in the UK I had to buy something! I chose two of their liquid lipsticks in the shades Pink Lemonade (which is my favourite) and Spice. If you are in Superdrug I would definitely recommend swatching them to find your perfect shade. What products have you been loving this month? Let me know in the comments below. I love this babe! I absoutely adore The Body Shop, everything is just soo perfect. I agree with you about their shower gels, they are just so perfect. I adore their Mango shower gel, that’s heavenly. Loved this post. I love the look of those Nip + Fab, I definitely need to pick up a few, my local superdrug doesn’t stock it sadly so I can’t swatch sadly, but I might try to find swatches online and just go by them, but you sometimes can’t tell because it could be edited, so that’s put me off a bit.